Then-junior center fielder Merri Anne Patterson connects on her second home run of the season, a two-run shot to left field, March 5, 2016 at Charlotte West Stadium. 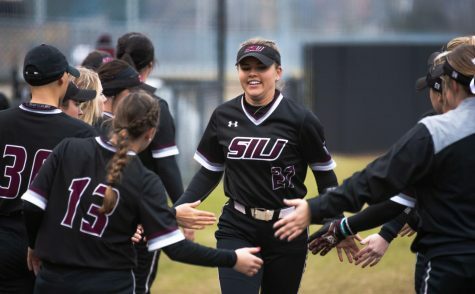 Much like SIU softball’s second game of Saturday’s doubleheader, Sunday’s game was decided in the final inning. 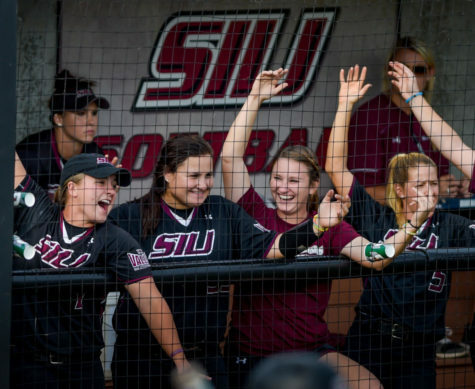 However, this game left a different feeling in the Salukis’ stomachs as Bradley eked out a 6-5 win to avoid a sweep in the opening series of the Missouri Valley Conference season. The Braves (15-13, 1-2 MVC) came out strong early, capitalizing on two Saluki errors in the first two innings to march out to a 4-0 lead. 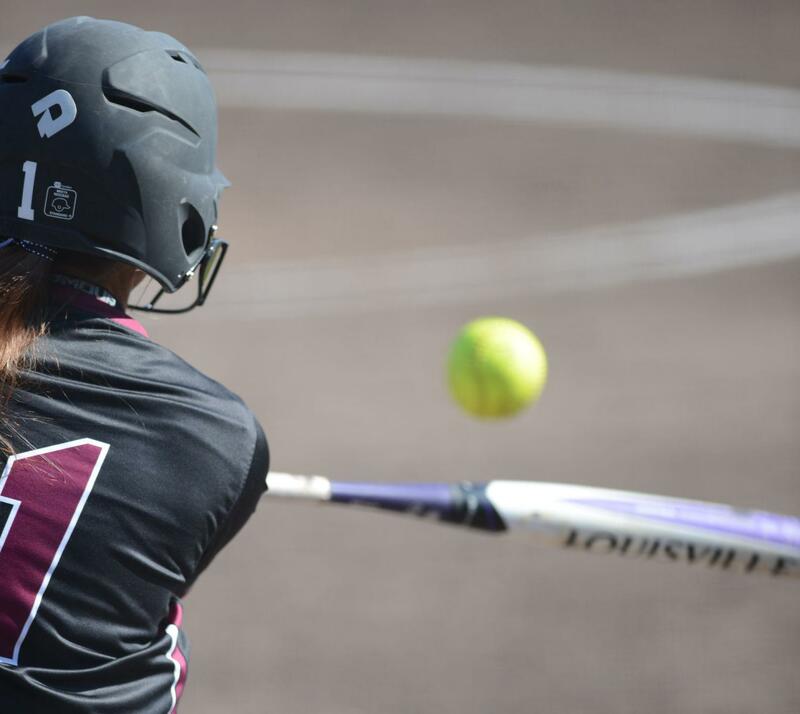 Bradley center fielder Caitlyn McCarron got Bradley started in the first inning with her first RBI of the day on a single off Saluki starting pitcher Brianna Jones. 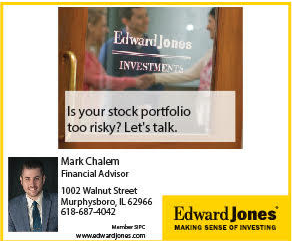 She later came around to score on a single from second baseman Elizabeth Leonard. Jones had a rare rough day in the circle, pitching 1 1-3 innings and giving up the four runs — two earned — on five hits. Braves catcher Maria Schroeder added to their lead the next inning with a two-RBI double, which caused Jones to be pulled and replaced by sophomore Nicole Doyle. Once Doyle came in, the Braves’ bats cooled down heavily for most of the remainder of the game. From the time she entered the game to the seventh inning, Bradley couldn’t muster a hit off of the sophomore. In the meantime, the Saluki offense responded in resounding fashion. 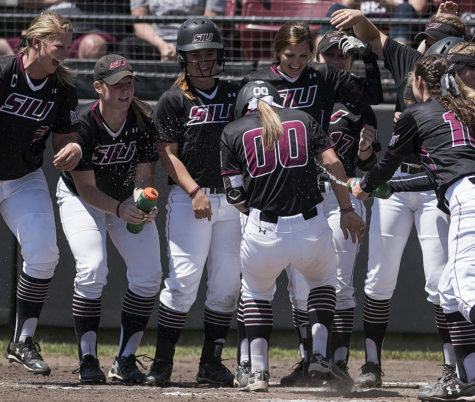 SIU (14-14, 2-1 MVC) scored two runs each in the second and third innings to tie the game. The first two came off a home run to straightaway center field from junior Sydney Jones, her team-high sixth of the season. The latter two were off the bat of senior center fielder Merri Anne Patterson, who delivered a two-RBI single to level the score at four. 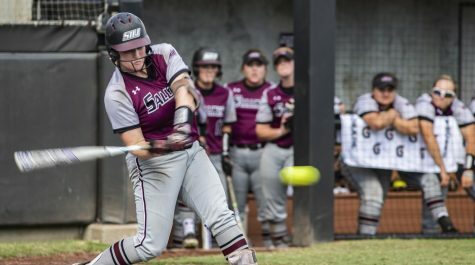 Patterson was one of the top Saluki performers on the weekend, going .500 at the plate with two runs scored and the two RBIs. Southern took its first and only lead of the game in the sixth with an RBI single from freshman Susie Baranski, who also had a solid weekend going 5 for 12 with three RBIs. 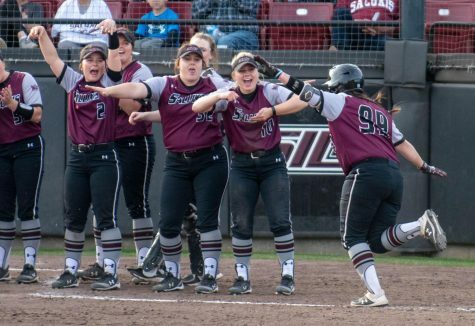 However, Bradley stole all the momentum right back with what would be the game-winning two-run home run off Doyle from the bat of McCarron, who almost hit the same spot Sydney Jones did five innings earlier. 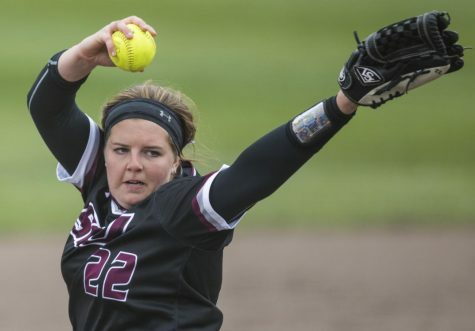 Doyle would be dealt the loss, dropping her record to 4-5 on the season. 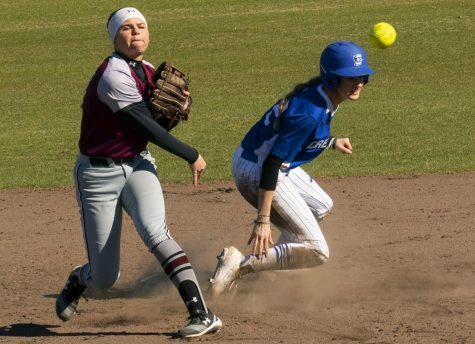 SIU had an opportunity to extend the game, getting runners on first and second with no one out in the final inning, but Bradley shortstop Gabby Stoner made a great catch on a line drive from Patterson and doubled off the runner at second. 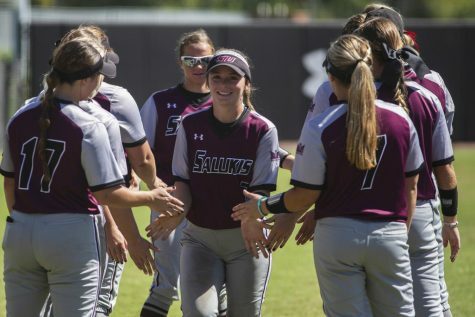 The Salukis could not rally from there before recording the game-ending out. 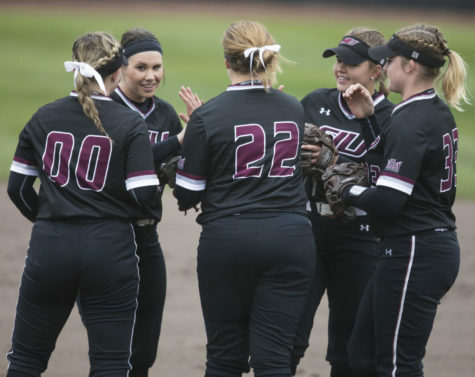 SIU will try to bounce back at a midweek matchup with Tennessee-Martin at 4 p.m. Thursday at Charlotte West Stadium.